Connecting two previously unrelated insights about the formation of pediatric kidney cancer, researchers at UT Southwestern Medical Center have uncovered the means by which the cancer continues to grow, providing potential targets for more effective treatments in the future. Wilms tumor is the most common cancer of the kidney in children. Typically, the disease is treated with surgery, radiation, and chemotherapy. This combination is effective for many patients but has numerous side effects, and a cure remains elusive for those with aggressive disease. This situation has driven investigators at UT Southwestern to look for more effective and less toxic ways to treat Wilms tumor. 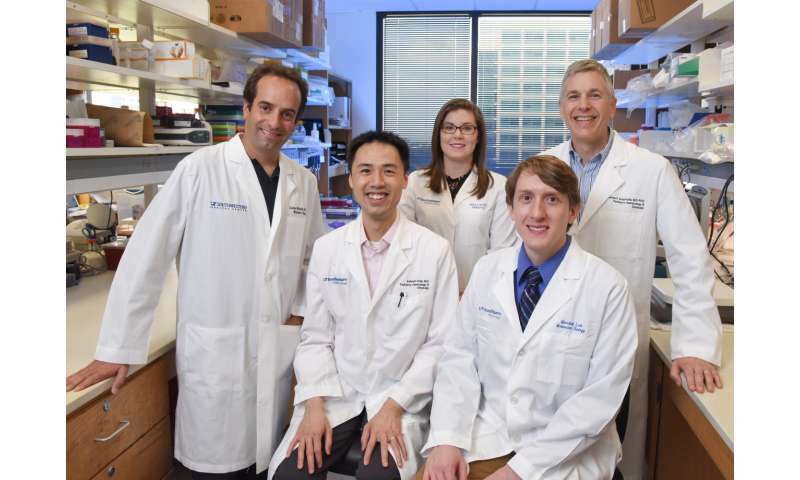 Previously, pediatric investigators from the nationally recognized Kidney Cancer Program at UT Southwestern's Harold C. Simmons Comprehensive Cancer Center identified a new molecular subset of Wilms tumors driven by recurrent mutations at "hot spot" residues in genes of the microRNA (miRNA) processing pathway (Rakheja et al., Nat Comm, 2014). A miRNA is a tiny RNA that reduces the production of specific proteins in cells. Nevertheless, it was unclear exactly why impairment of miRNA function caused Wilms tumors. In follow-up studies, the researchers identified a previously unknown connection between the miRNA pathway and insulin-like growth factor 2 (IGF2), a secreted protein that drives organ growth and is known to play a critical role in Wilms tumor and other cancers. In related work, the UT Southwestern scientists also identified new, miRNA-independent mechanisms of IGF2 regulation in Wilms tumor. "Our previous discovery of miRNA processing mutations opened a window into this important class of Wilms tumors," said Dr. James Amatruda, Associate Professor of Pediatrics, Molecular Biology, and Internal Medicine. "In the current study we wanted to understand exactly how those mutations turn a normal kidney cell into a cancer cell. We also wanted to identify potential avenues for new and better treatments." Dr. Amatruda, along with Dr. Kenneth Chen, Instructor of Pediatrics at UT Southwestern, steered the study, published in Genes and Development, which connected miRNA processing mutations to IGF2 regulation. Specifically, the team found that Wilms tumors with miRNA processing mutations exhibit higher levels of Pleomorphic adenoma gene 1 (PLAG1), a protein that normally functions during development to turn on IGF2 expression. In kidney cells with miRNA mutations, PLAG1 levels are abnormally high, leading to inappropriate production of IGF2, which in turn promotes Wilms tumor formation. "This discovery connects two previously unrelated Wilms tumor insights in a new way. We now understand how Wilms tumor mutations drive IGF2 production, which is an important contributor to Wilms tumor formation," Dr. Chen said. In another study focused on Wilms tumor and also featured in Genes and Development, Dr. Joshua Mendell, a Professor of Molecular Biology and a Howard Hughes Medical Institute Investigator, together with Ryan Hunter, a student in the UT Southwestern Medical Scientist Training Program, uncovered another mechanism that leads to upregulation of IGF2 in Wilms tumors. These scientists began their study in an effort to understand the function of the DIS3L2 gene, which is mutated in some Wilms tumors and whose loss-of-function causes a rare lethal disease of newborns known as Perlman syndrome that is associated with overgrowth and a high risk of Wilms tumor. Previous work suggested that DIS3L2 might prevent Wilms tumor formation through its ability to regulate miRNA levels. However, using genetically engineered mice lacking DIS3L2 function, Dr. Mendell and Mr. Hunter found that loss of this gene had no effect on miRNAs but rather led to an increase in IGF2 expression. This finding provides important new understanding of the causes of overgrowth and Wilms tumor in Perlman syndrome patients. "Given that the therapy for Wilms' tumor has not changed in decades and relies on highly toxic chemotherapy, we believe that a better understanding of the fundamental molecular mechanisms that give rise to these cancers will allow the development of targeted therapies that are more effective and have fewer side effects," Dr. Mendell said. Children treated with chemotherapy frequently have adverse effects that can manifest at the time of treatment, or later in life, he added. "It would be much better, especially when treating children, if we could develop targeted therapies that are specifically directed at the defects that cause Wilms tumor," Mr. Hunter said.